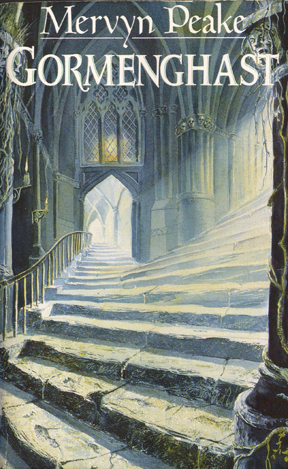 The immense, labyrinthine Hayholt, featured in Tad Williams’ epic masterpiece, Memory, Sorrow, and Thorn, seemed reminiscent of castle Gormenghast to a certain extent when I first read that series. I don’t know if Williams is a Gormenghast fan–I’ve never asked him, although I should. I do know he is not afraid to write great literary fantasy. 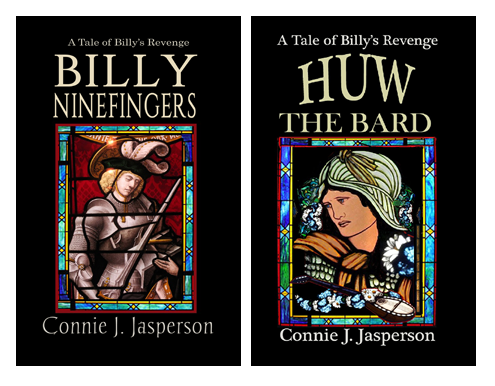 Vance’s vision of Lyonesse has influenced fantasy literature in the most subtle of ways, creating a canon for those who write alternate Arthurian history that is nearly set in stone. Literature drives changes in language and is in turn driven by changes in language. For me, Gormenghast is a surreal, visual painting, created of beautifully crafted words. The prose of Jack Vance’s Lyonesse is equally beautiful, describing a time and place that never was but could have been. 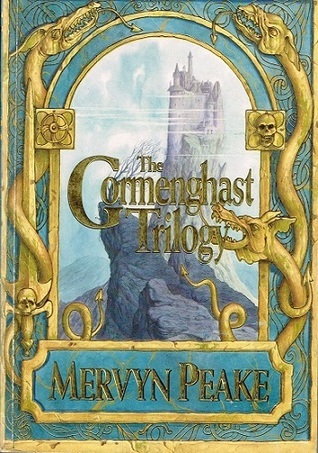 One of the strangest, most compelling series of books I ever read was the literary, yet still fantastic, Gormenghast series of novels, written by the late Mervyn Peake during the years following WWII. It has been said of this series that it is the the first true fantasy of manners. Satirizing the manners and affectations of a social class or of multiple classes, often represented by stereotypical stock characters, a “Fantasy of manners” is fantasy literature that owes as much or more to the comedy of manners as it does to the traditional heroic fantasy of J. R. R. Tolkien and other authors of high fantasy. The immense, labyrinthine Hayholt, featured in Tad Williams’ epic masterpiece, Memory, Sorrow, and Thorn, seemed reminiscent of castle Gormenghast to a certain extent, when I first read that series. I don’t know if Williams is a Gormenghast fan–I’ve never asked him, although I should. I do know he is not afraid to write great literary fantasy. The Gormenghast series opens with the book, Titus Groan. Although the book takes its name from Titus, and he is technically the main character, the book only covers the first two years of his life. Titus-the-baby appears infrequently throughout, but is still an integral part of the plot, inciting change in the routine of the immense castle. At the age of one, he becomes the Earl of Groan. The great library has been deliberately burned, sending the old earl, his father, spiraling into madness. He vanishes, having been eaten by Death Owls (!) while attempting to hide the body of his murdered chef, Swelter, who was murdered by another of his servants. 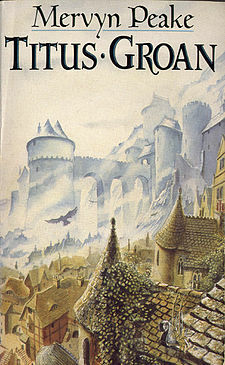 Wikipedia gives this as the plot introduction for the series: “The book is set in the huge castle of Gormenghast, a vast landscape of crumbling towers and ivy-filled quadrangles that has for centuries been the hereditary residence of the Groan family and with them a legion of servants. These complicated, convoluted books of nonsense are not for everyone. They are beautifully written, but the less perceptive, more impatient type of reader will find this series confusing and plot-less. Despite being a dark, Gothic fantasy, the prose is literary. 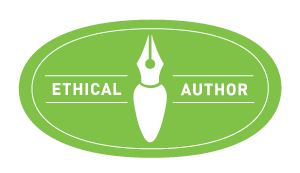 For some casual readers, this work will be considered too heavy on the descriptions It may also contain too many “ten-dollar” English words–words of more than one syllable. 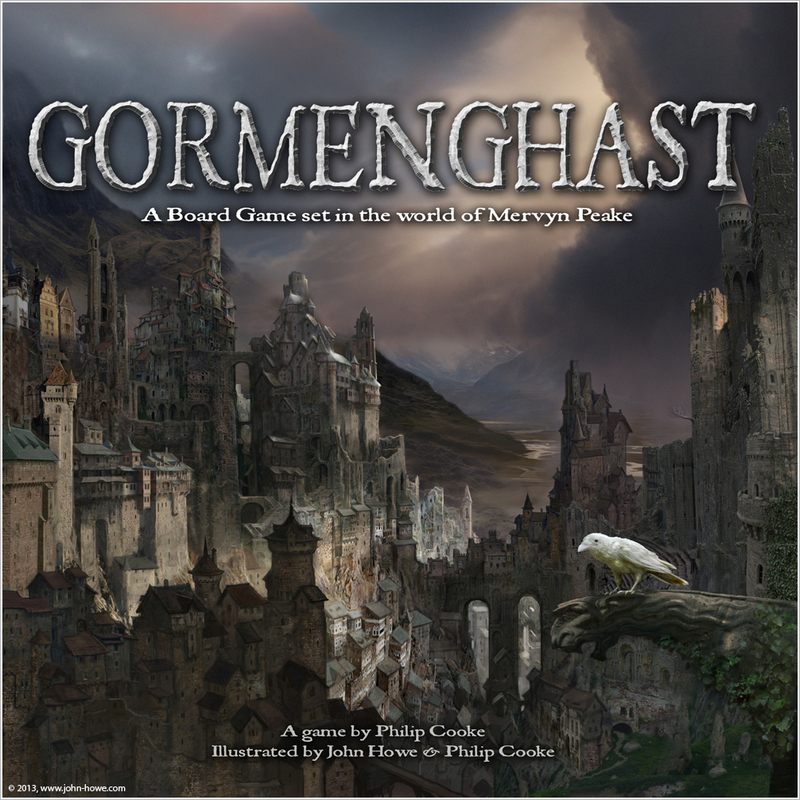 But for those readers like me, readers who adore beautiful prose, deep, involving books, and darkly baroque settings peopled with unforgettable characters, the Gormenghast Novels strike a chord deep within the soul. These books must be savored, experienced in the fullest sense of the word. The focus is on the breathtaking visual descriptions, and while I am thrilled by it, the verbal beauty of Gormenghast is what will leave many impatient modern readers cold. For me, Gormenghast is a surreal, visual painting, created of beautifully crafted words., and frankly, I say to hell with anyone who mocks my enjoyment of it. Just like J.R.R. Tolkien’s work, when you are reading this series of novels, the journey itself is more important than the destination. And speaking of J.R.R.–I just want to say that while this series is often compared to Tolkien’s work, there is very little similarity between the two, other than they are both extremely well written fantasy, written by authors with a good command of the English language and all its nuances. Mervyn Peake was famous as a writer, portrait artist, and illustrator, and was considered brilliant in both fields. In 1959, after the publication of the third of his Gormenghast novels, the dreadful disease of dementia finally claimed him, eventually robbing him of his ability to draw. Tragically Peake was unable to live normally for the last years of his life, and died in a nursing home 1968 at the age of 57, having left his literary masterpiece uncompleted in the way he had envisioned it.